What do you think of when you think about luxury? Sipping champagne, chocolate covered strawberries, or a chauffeur driven Bentley? Well, the future of luxury travel is going for experiences over things. 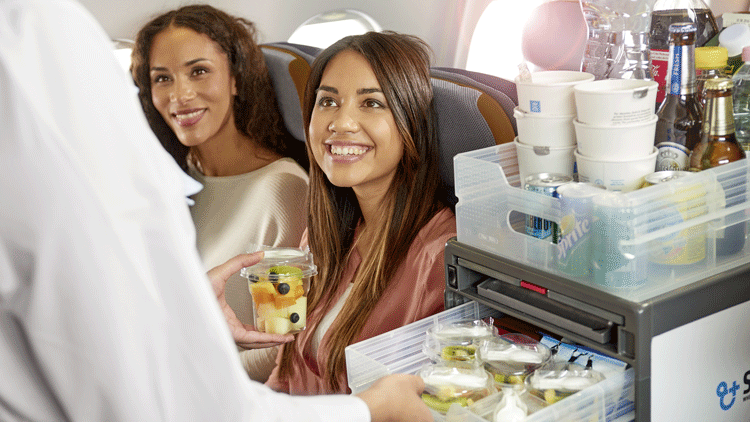 Passengers are willing to spend more money than ever before on creating the perfect memorable flight…and this starts as soon as they step onto the aircraft. Already on board with these two sides of the coin, SPIRIANT can help airlines cater to both, without skimping on quality or efficiency. Luxury is the emotional connection between memorable and usable, that culminate to cement a positive experience. For example, our expert amenity kit team pairs fashion labels with a usable design that can be used long after a flight ends. By creating a kit that can also be useful at home, we make sure to create an emotional connection – and a souvenir. This expertise doesn’t end with amenity kits, but includes all other elements of design in everything we do. Our porcelain chinaware for use during meal time, or the comfy blanket to help get passengers get some much-needed rest – every element must foster the holistic feeling of pure luxury. The question is: how can airlines make every customer feel special, when thousands of people fly each day? It’s definitely a challenge for the industry to adapt to understanding their customers as individuals. This is where the human touch comes into creating memories and authentic experiences. By providing efficient equipment on board, we aim to make the crew’s job easier, allowing for more face to face time with passengers. High-tech can impress, but a smile still makes a difference. The future of luxury depends on taking into account emotional connections, authentic experiences and intuitive touch-points that make people feel special and appreciated…and leave them wanting more!